What author Brian McCullough has created through the research interviews he shared as part of the Internet History Podcast, as well as the chapter interviews based loosely around outlines for the chapters in the book, is an incredible feat that literally stands on the shoulders of everyone he wrote about in this book. 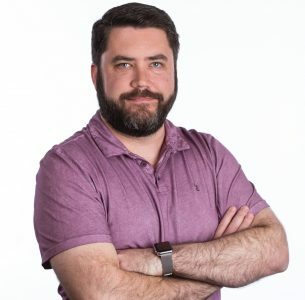 It all started with a podcast, at least, the Internet History Podcast, hosted by Brian McCullough happened first. And podcasts don’t happen without the internet. Podcasts are on-demand radio listened to by an audience sometimes in browser, the origins of which are discussed in this book with Netscape and it’s historical IPO that marked the opening bell of the Internet Era, and on mobile devices, which is also a product of the Internet Era and all of these technical marvels becoming ubiquitous to people who didn’t know how it happened. Seriously, from whatever the start of your own personal Internet era was, AOL, AIM, Prodigy, Gopher, IRC, ICQ, GeoCities, Myspace, Facebook, further back with Netscape and Mosaic, or more recently with Snapchat, no matter what your personal starting point was, the process from which the Internet went from something trivial or toyish to something we can’t live without is the part of this book that is most fascinating. I’ve heard every episode of the Internet History Podcast and I’ve read every page of this book, and McCollough’s insight into the social import to everyday people of the technological changes and whims of the Internet Era are second to none. Let’s start with the importance of the Netscape IPO. Many people could argue that it was the Mosaic Browser that started the Internet Era, or older still it could be argued that you have to go back to the origins of the ARPA funded network and it’s few nodes to see the true beginning, but that’s not what McCullough does and with good reason. The bottom line? 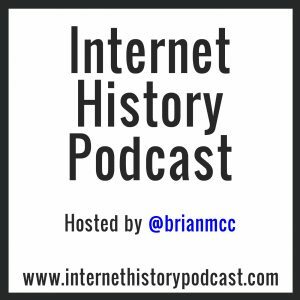 From the Internet History Podcast to the printed pages of How the Internet Happened, Brian McCullough’s master class on the Internet Era is, in a word, brilliant. I will continue to tell anyone whom I think will be interested in the podcast about the Internet History Podcast, but I will probably tell even more people about the book. Not everyone is interested in listening to McCullough talk to members of the Netscape team or listening to long-form interviews, but they can all appreciate that the best bits, at least on a general level have all been included into the text of this book. 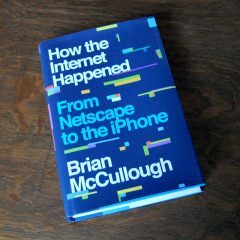 So go out and get yourself a copy of How the Internet Happened by Brian McCullough. Perhaps you’ll enjoy what you read so much you’ll want more, and as I type this there are over 180 episodes of “extra features,” with more on the way, that go along with the book waiting for you on your podcast app of choice. 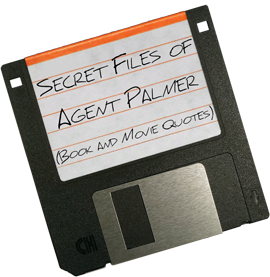 Read the Secret File of technical information and quotes from How the Internet Happened.